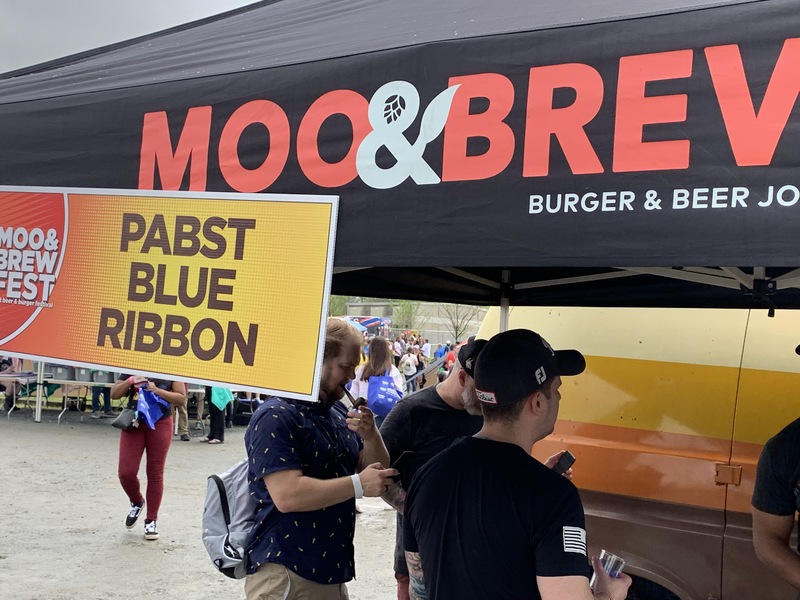 This is an annual craft beer and craft burger event put on by the restaurant of the same name. 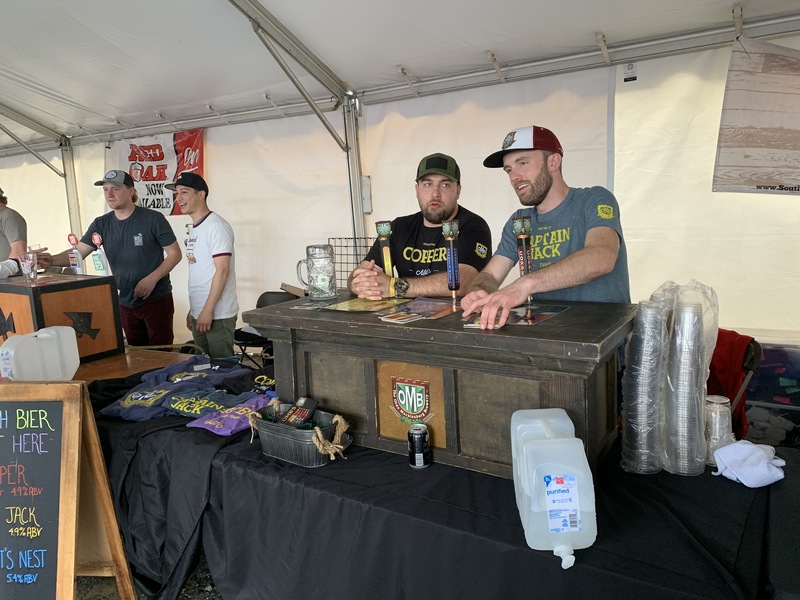 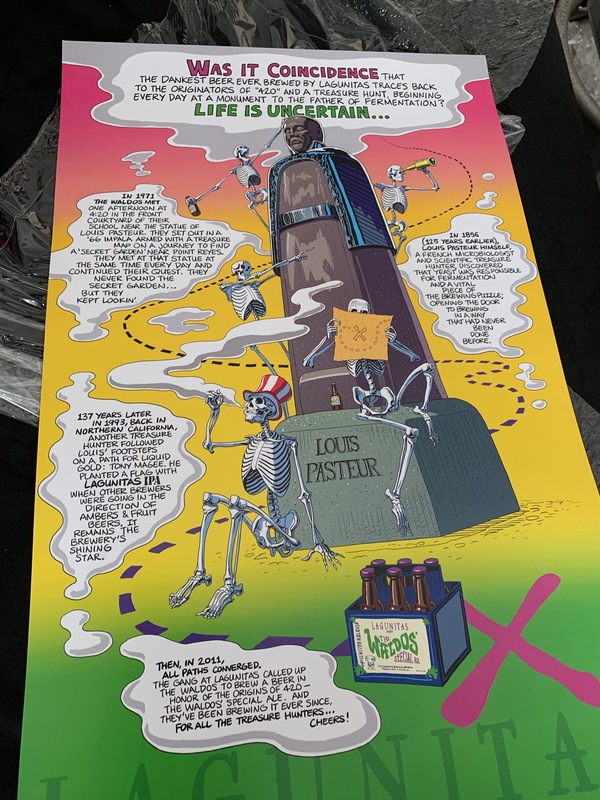 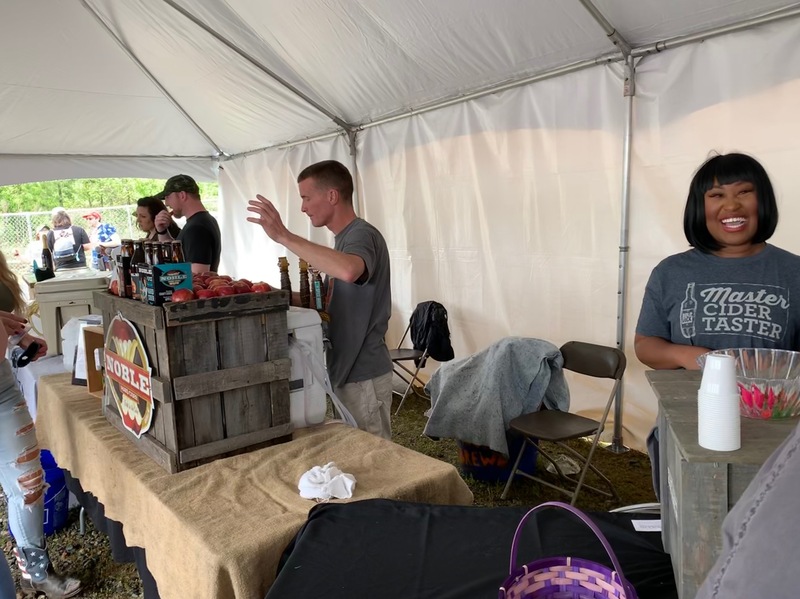 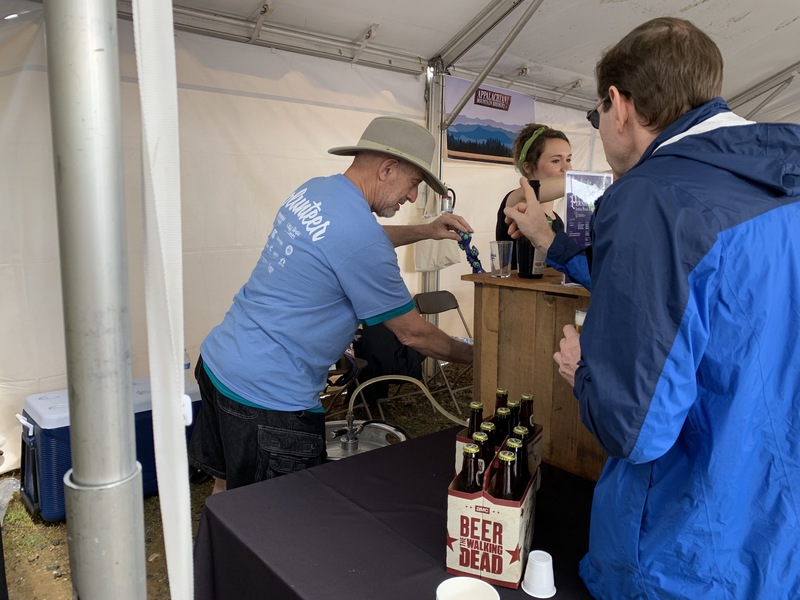 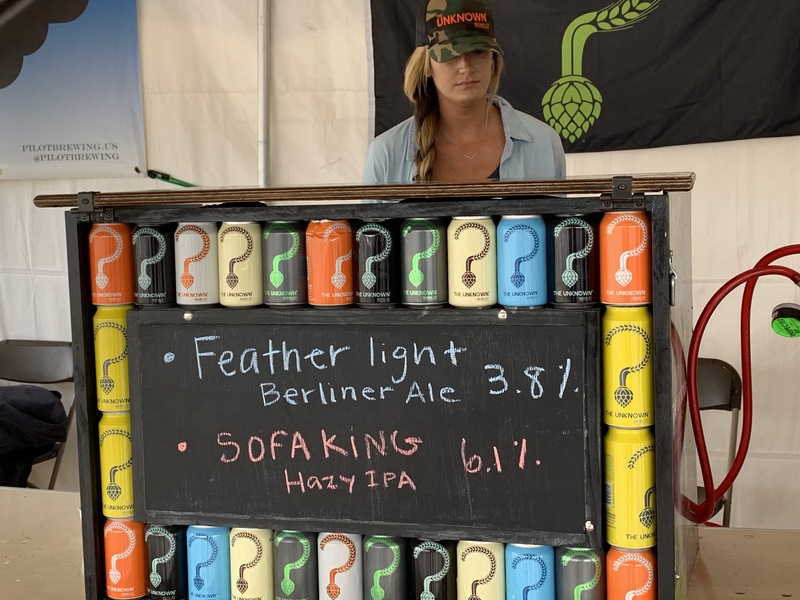 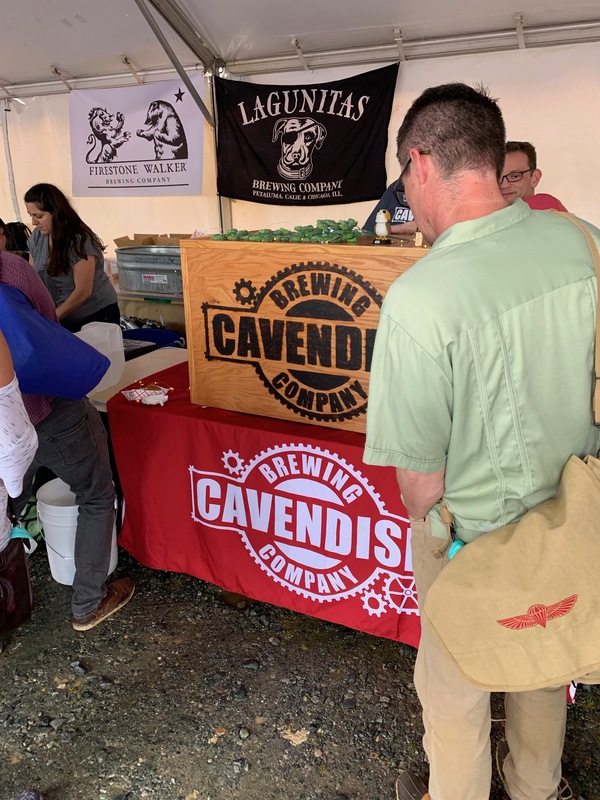 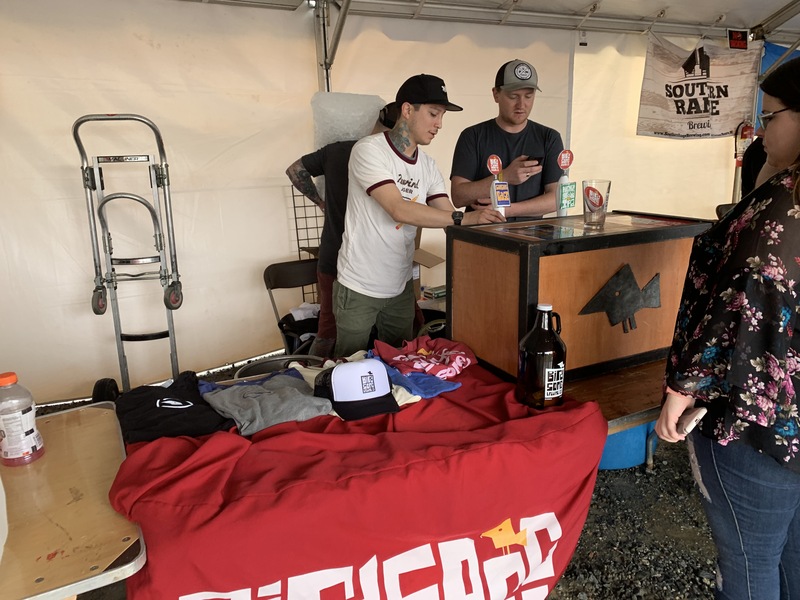 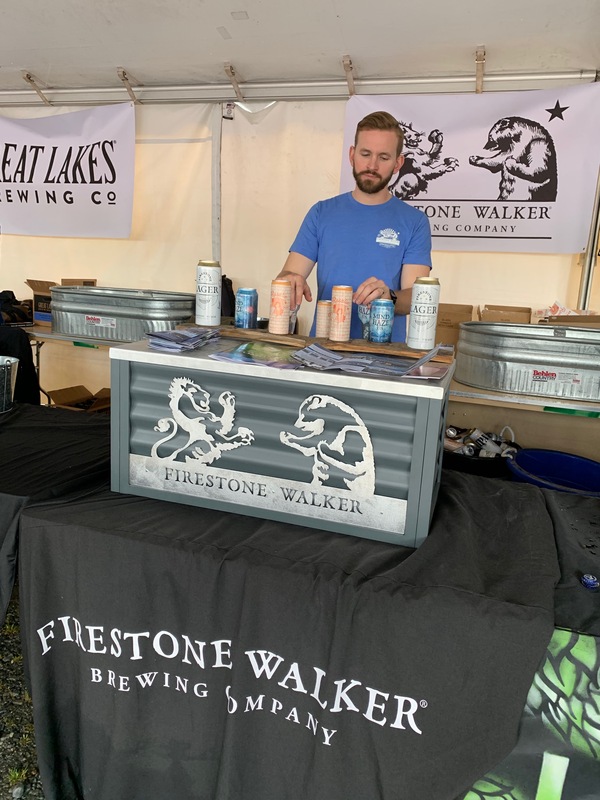 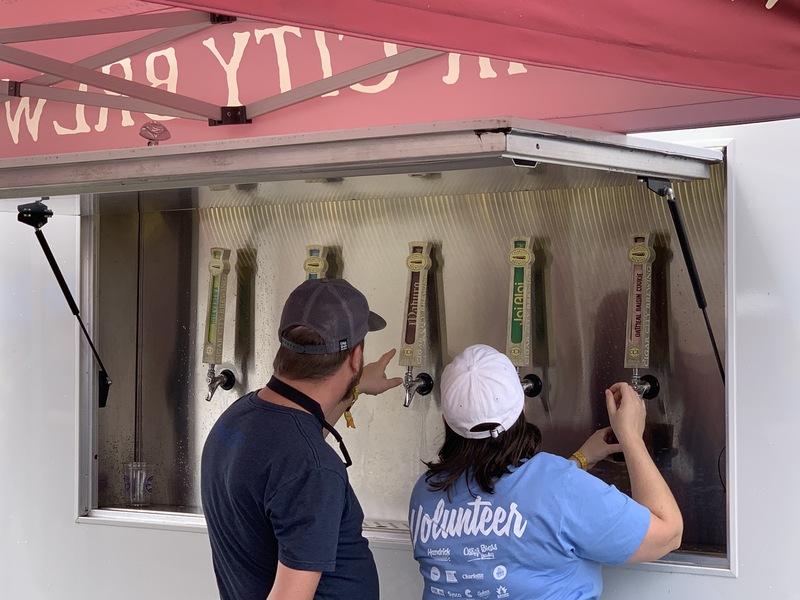 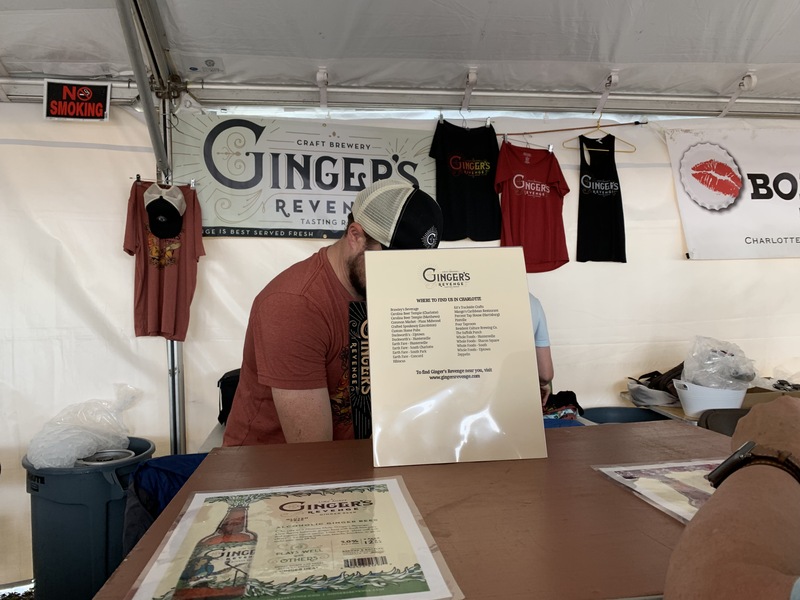 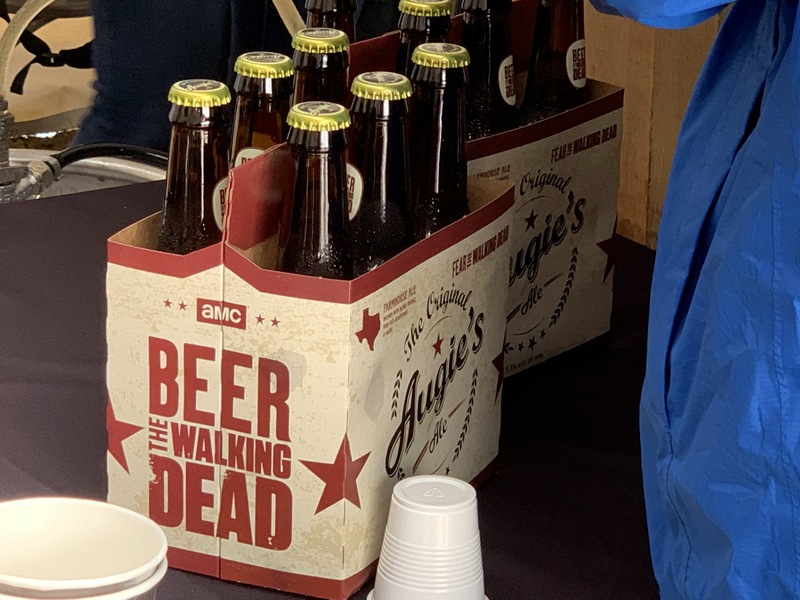 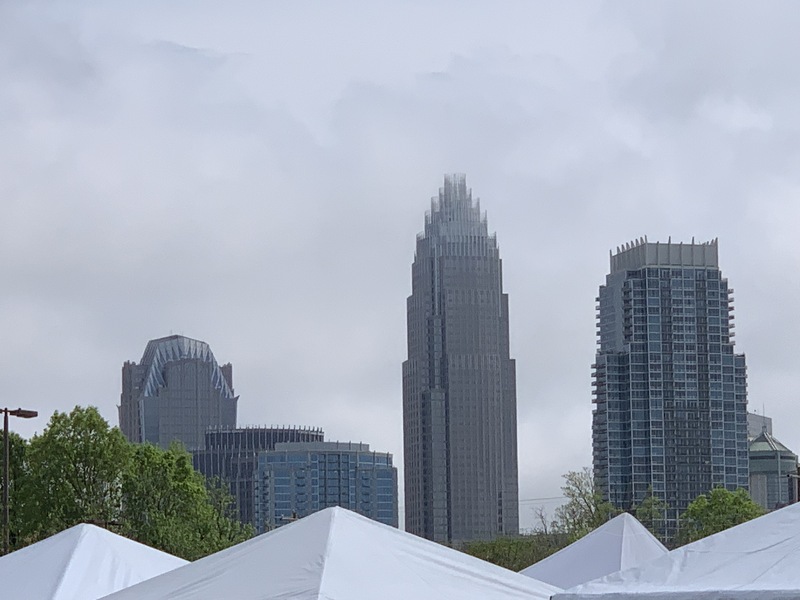 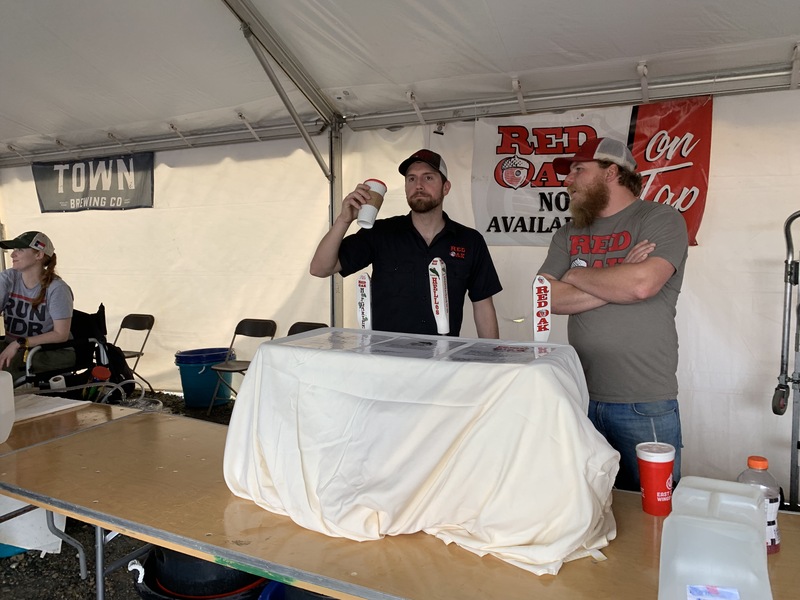 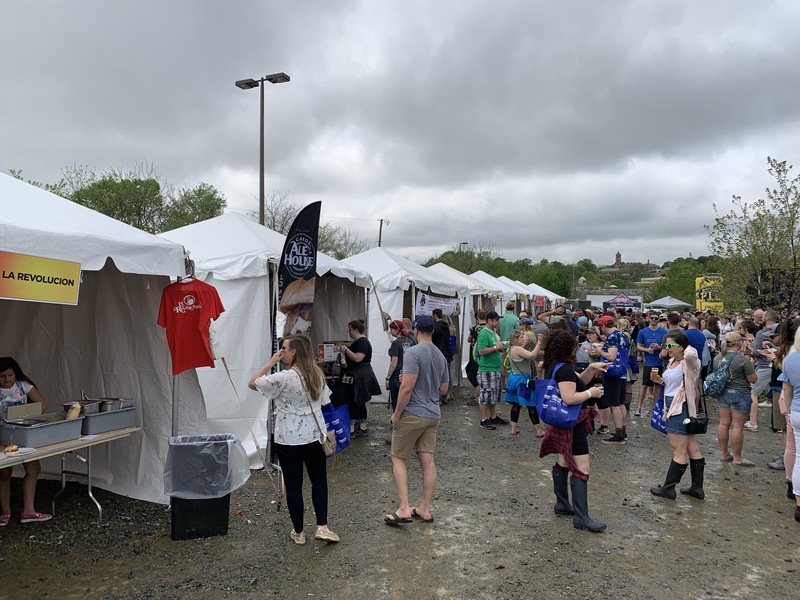 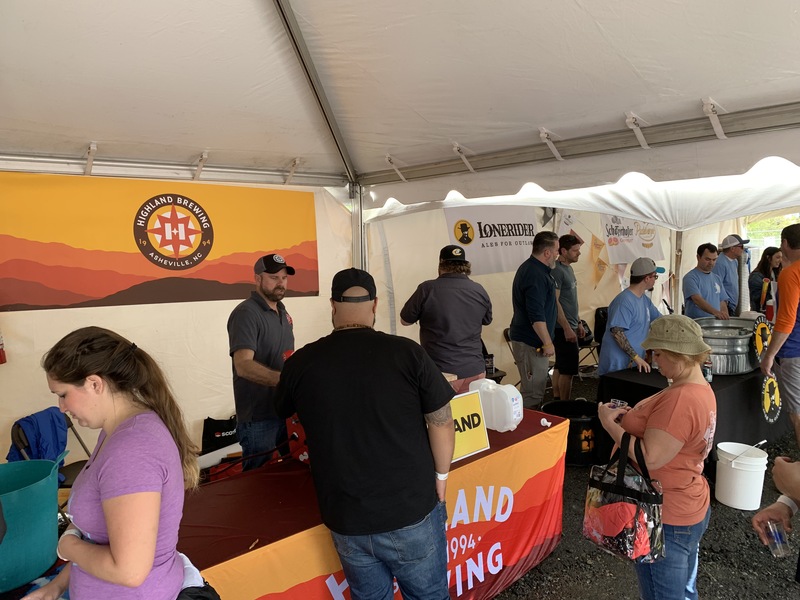 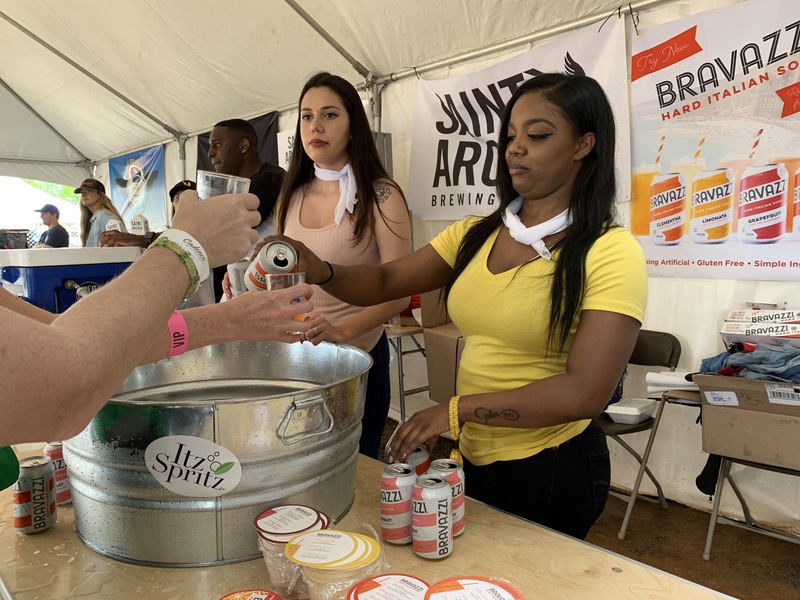 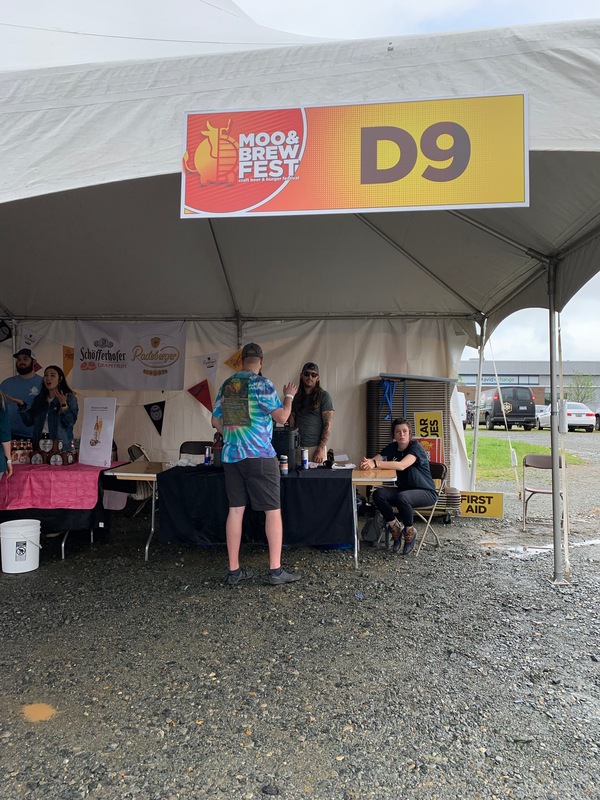 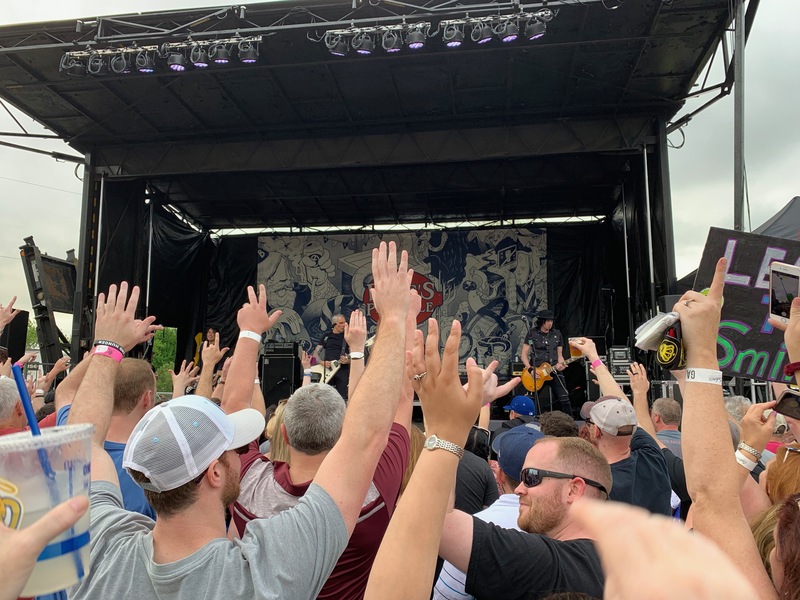 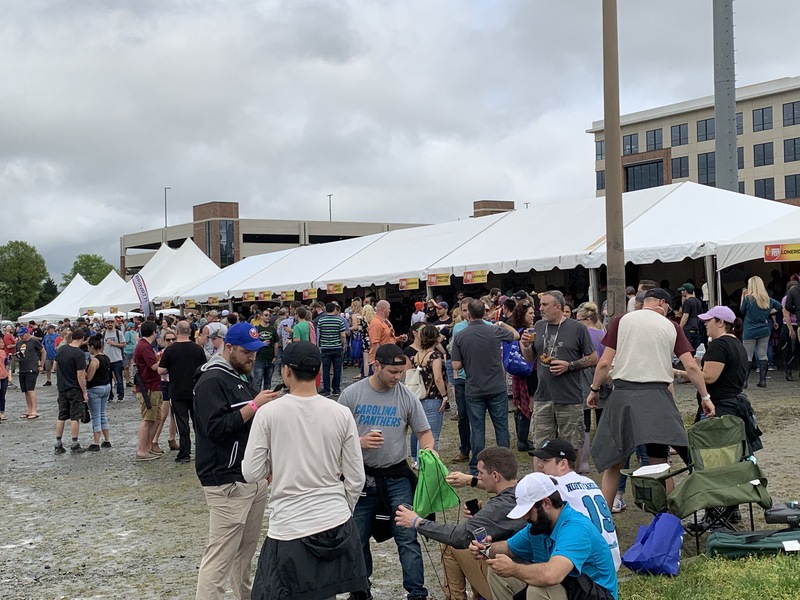 For this 5th annual event in 2019, there were reportedly 75 brewers serving over 200 beers in total, but they represented the breweries you are accustomed to seeing if you attend beer festivals in this area; lots of standard brews that you are very familiar with and very few that you would not have seen many many times before. 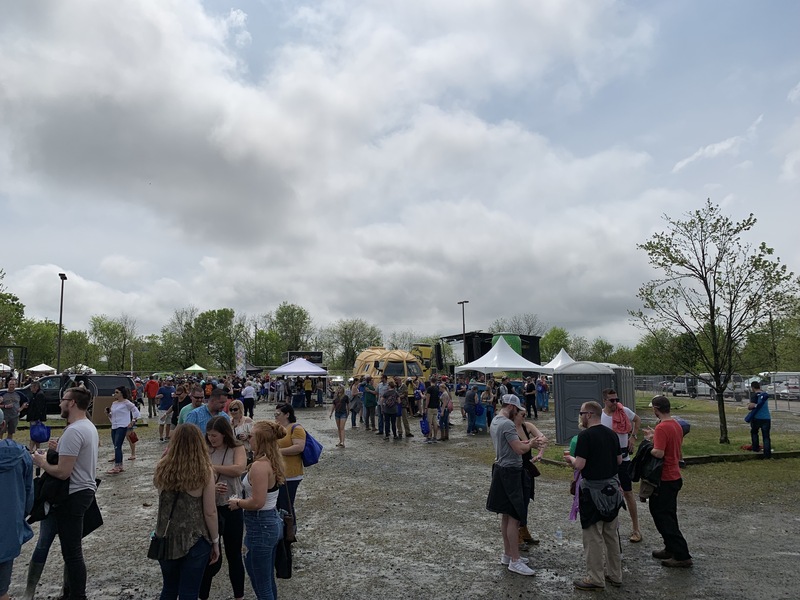 While there were no special standouts, I don’t think that is what visitors expect of this event so that shouldn’t be a hit against the event. 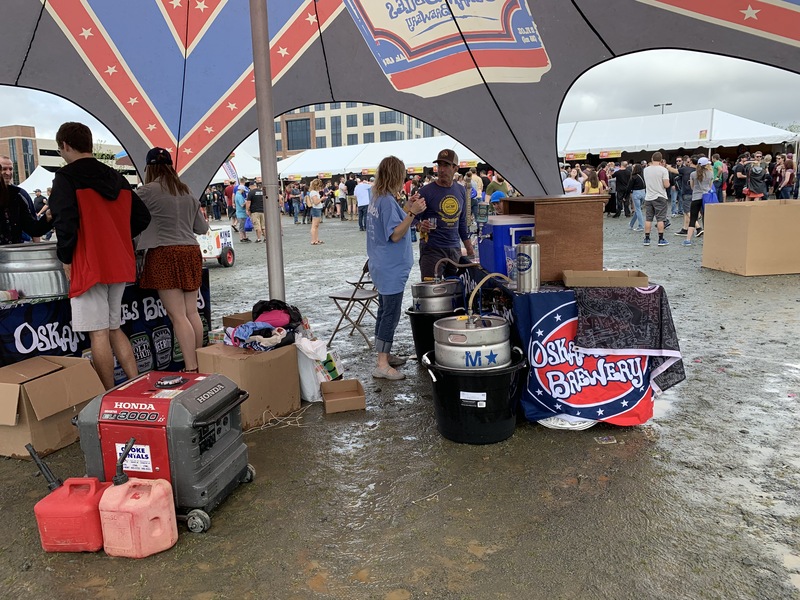 However, very few of the brewers that did come brought their A game. 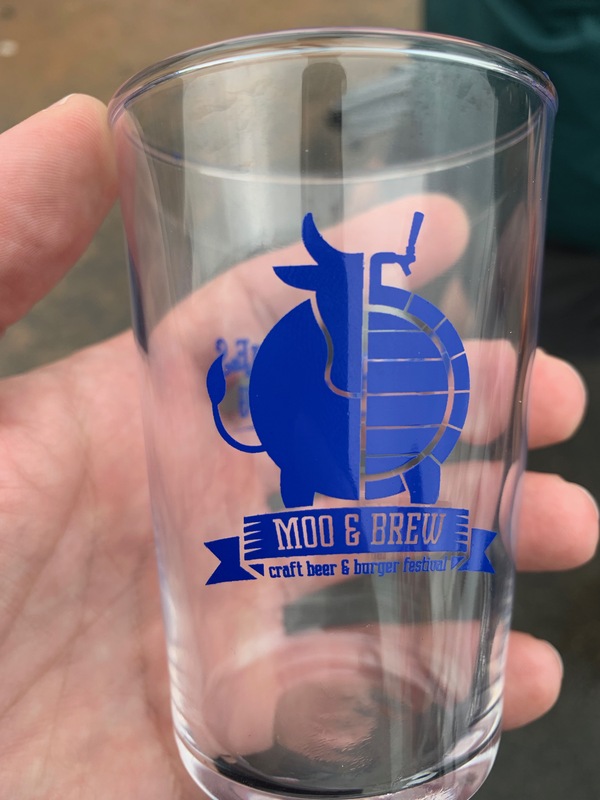 Some had only one or two beers and poured just half of the already small glass indicating they were concerned about supplies. 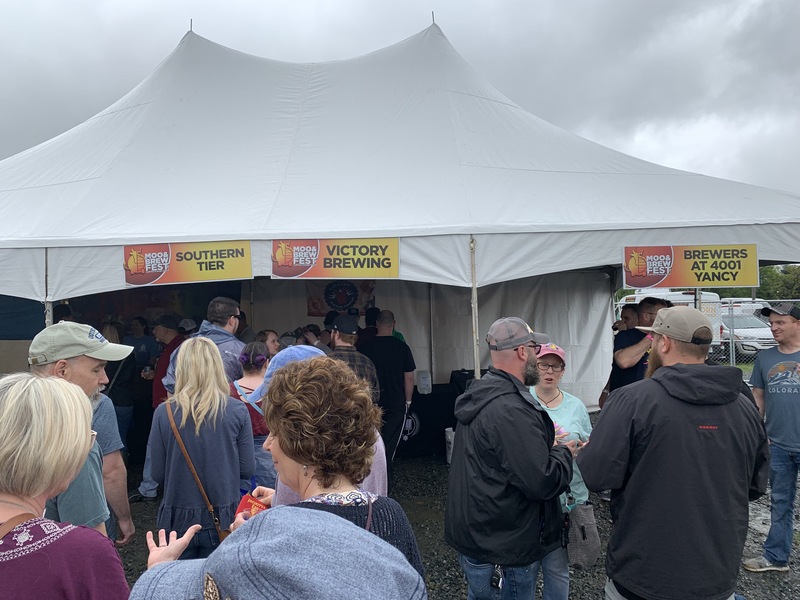 Some specific examples: the Brewers at Yancey (Victory and Southern Tier) only brought just two beers (a porter and an IPA). 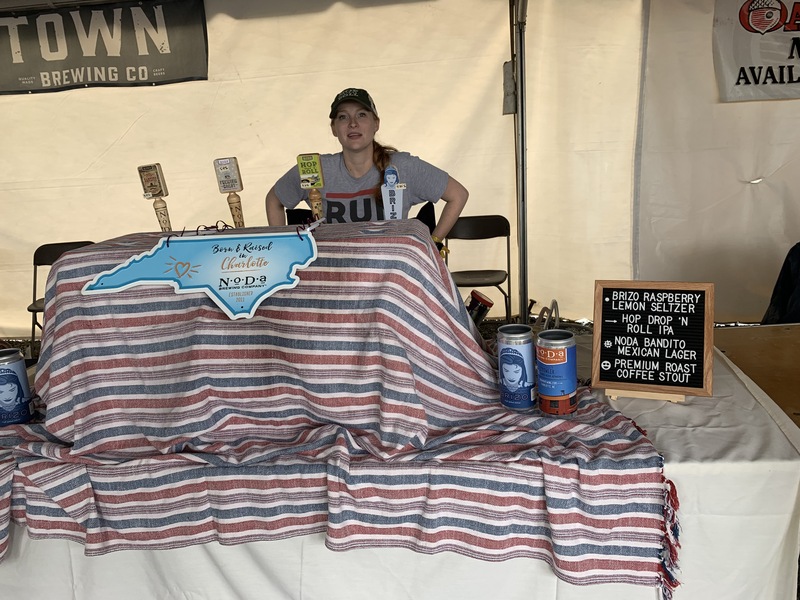 Right next-door Pisgah Brewing had three. 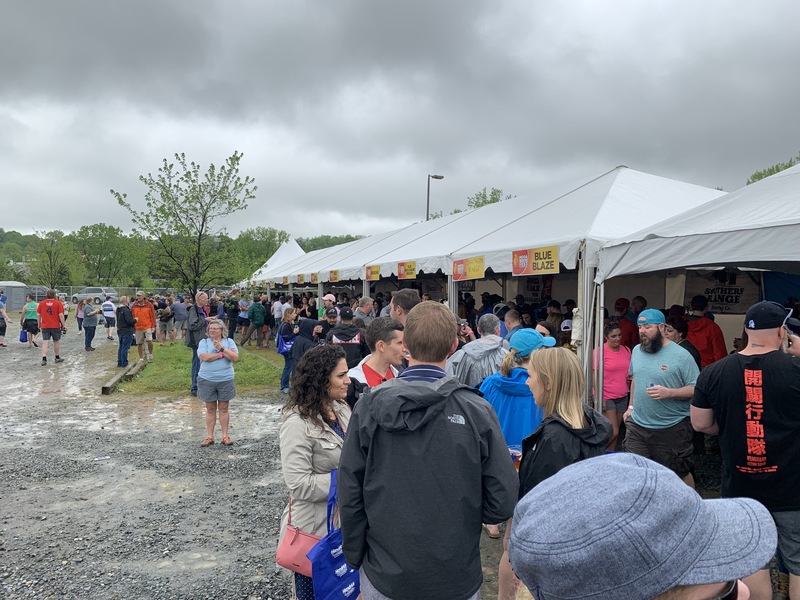 The weather that day started bad with some heavy rain and wind but by the time 2pm rolled around for general admission, the wind had died away and the rain was a light sprinkle that subsided and did not return. 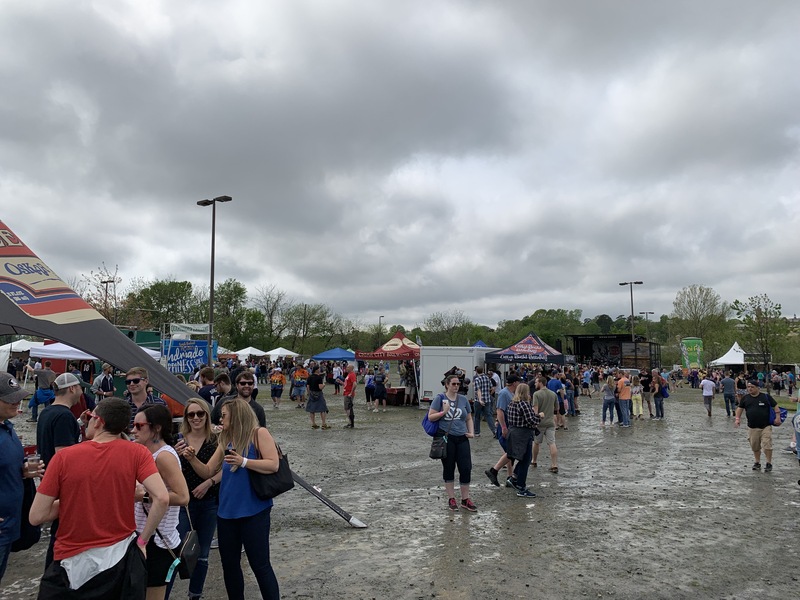 The ground was muddy, but otherwise had minimal negative impact on the even to everyone’s pleasant surprise. 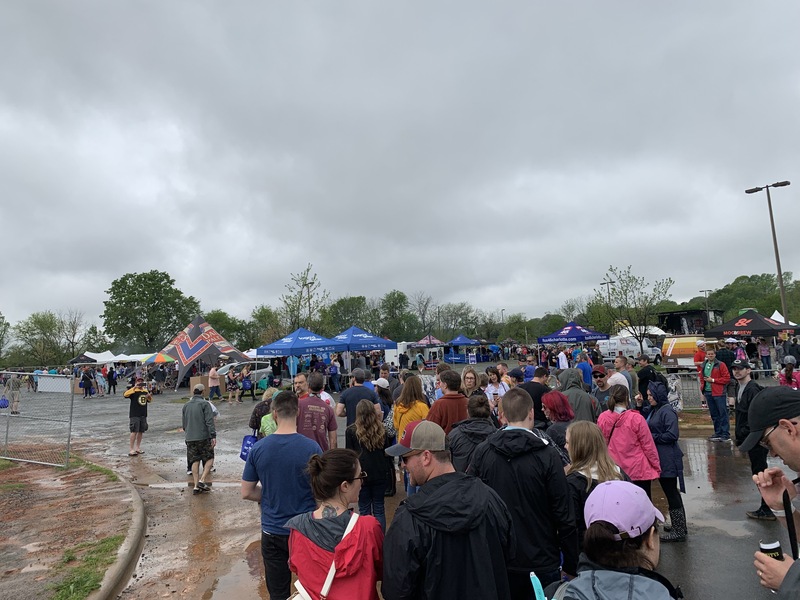 Those who came early for the VIP access experienced the most rain and you could later identify them by their muddy legs and shoes. 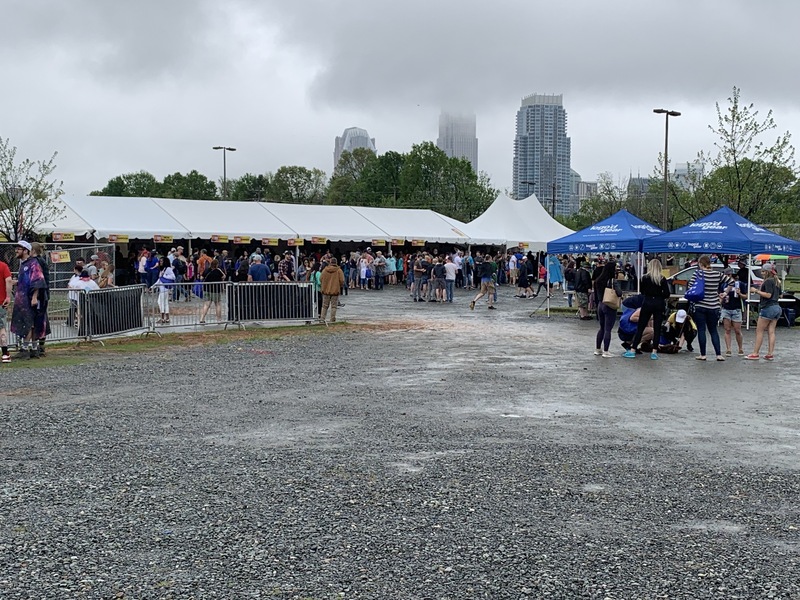 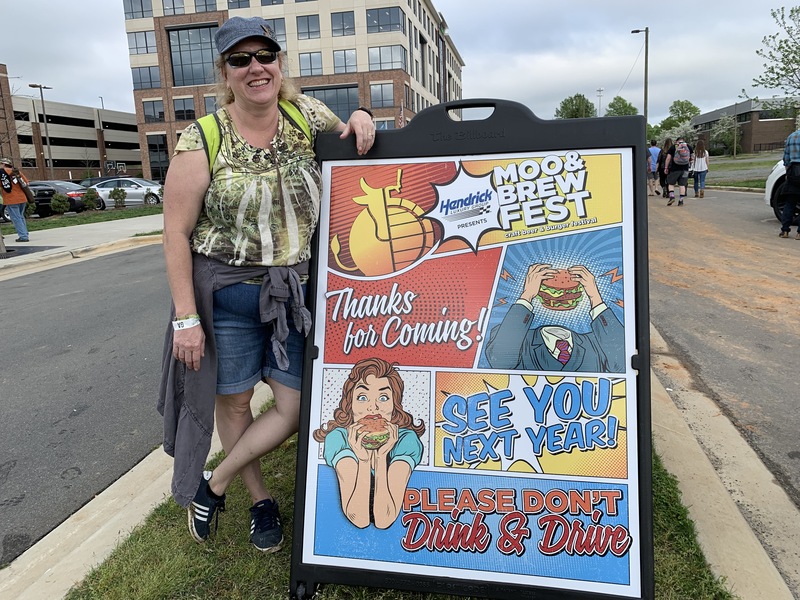 General admission tickets were $40 but a pair was just over $100 after fees and it was also necessary to pay for parking $20 or $10 depending upon where you chose to park. 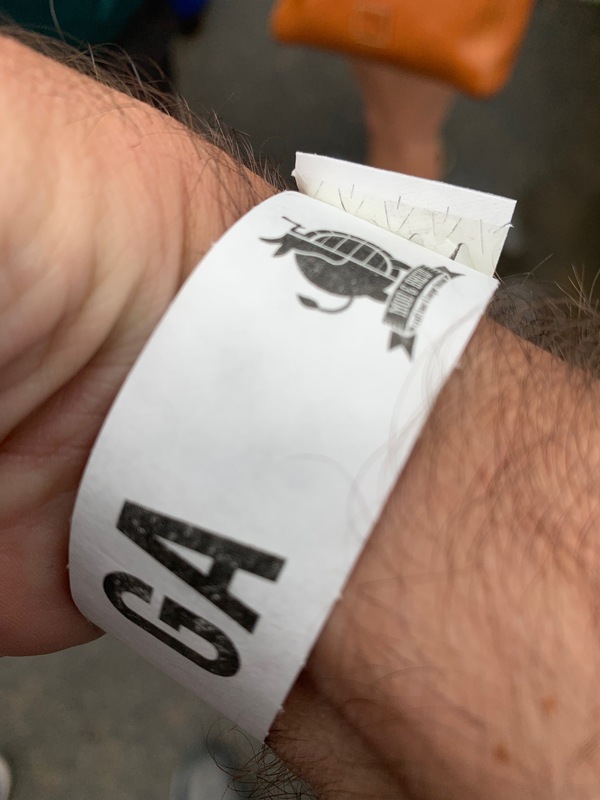 It was a damn good time though and well worth it if you got anything out of enjoying the concert that was put on (more on that below). 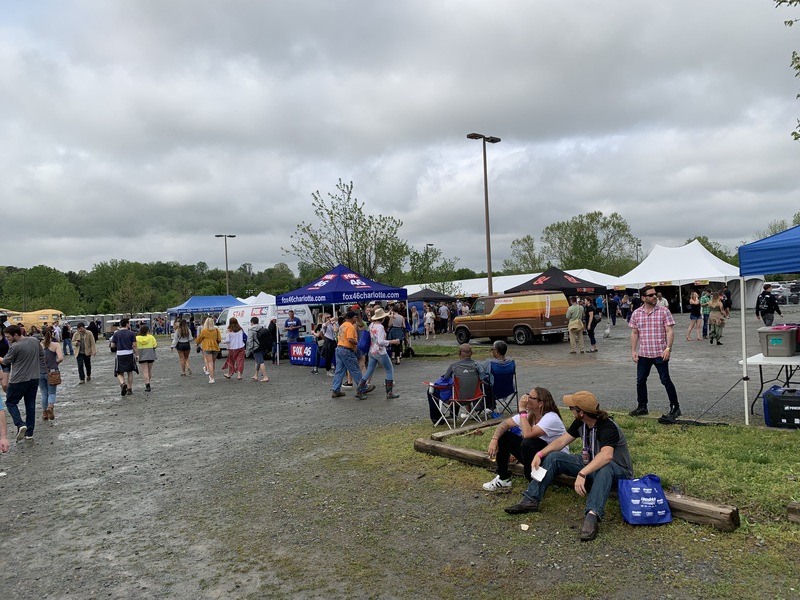 There were about 10 burger tents and you got a ticket to vote for your favorite. 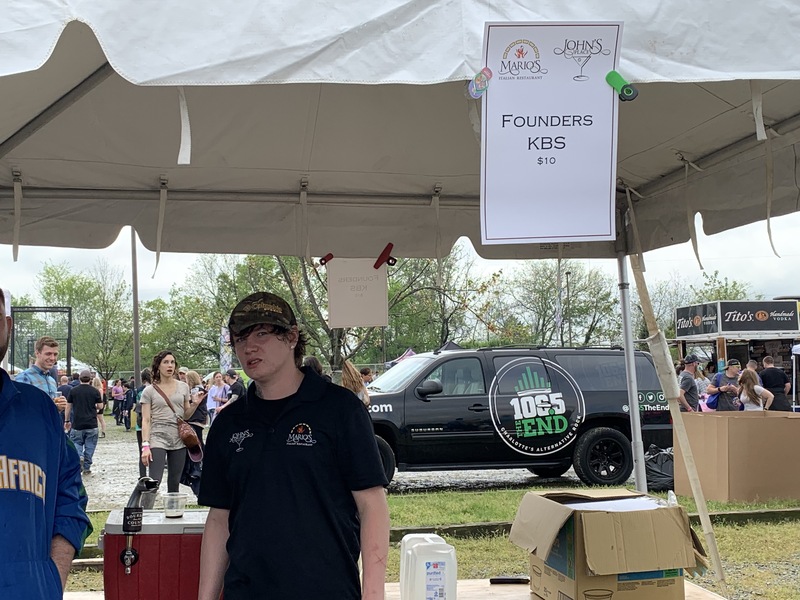 They were essentially sliders that sold for 3-4 dollars each so that you might be more likely to try a couple different places. 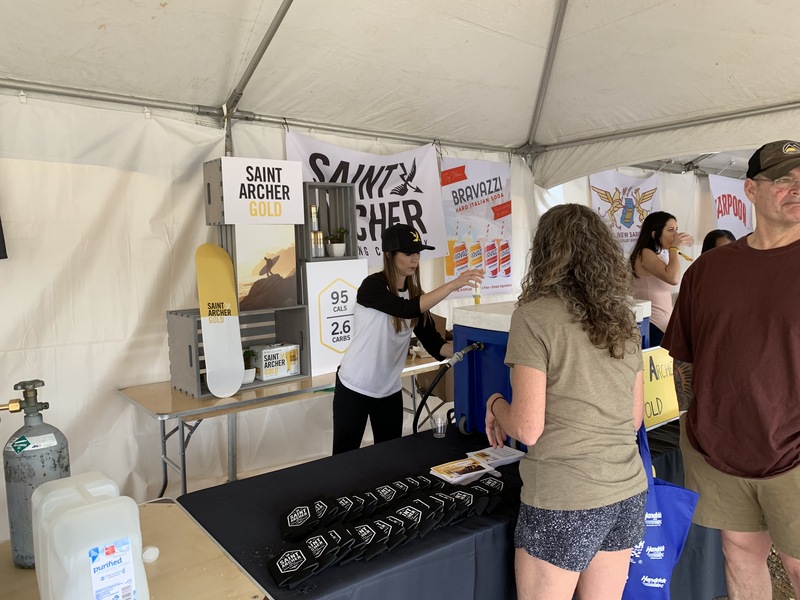 There were also a number of vendors on site selling products and promoting services. 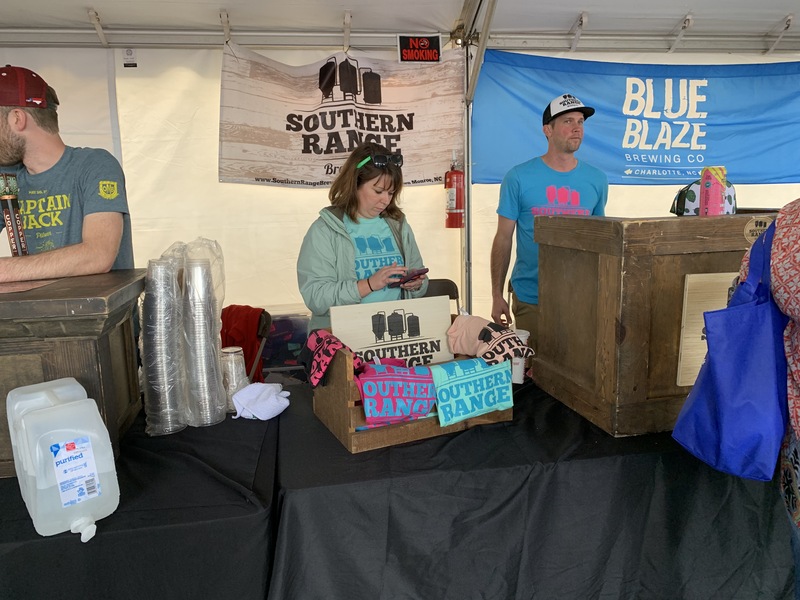 Many of the breweries brought stickers to give away but also shirts and hats to sell. 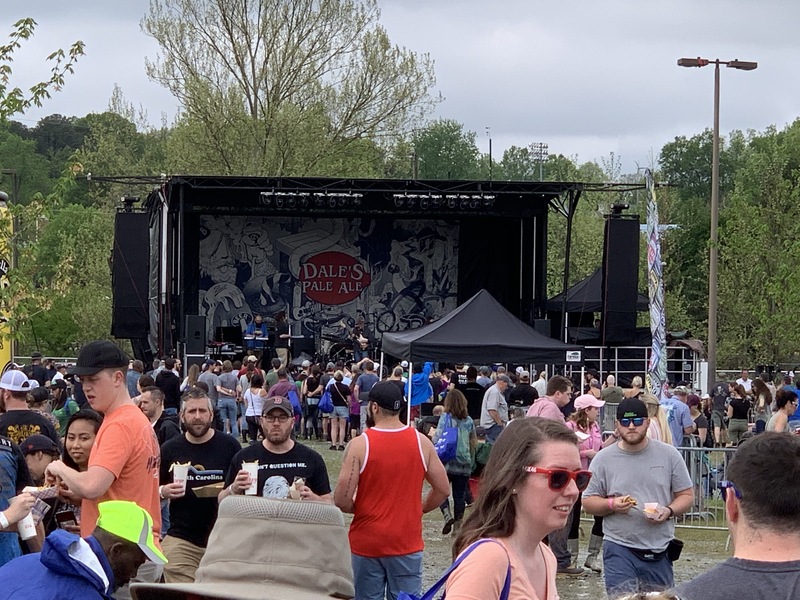 A real treat that kicks this event up several notches was the live music. 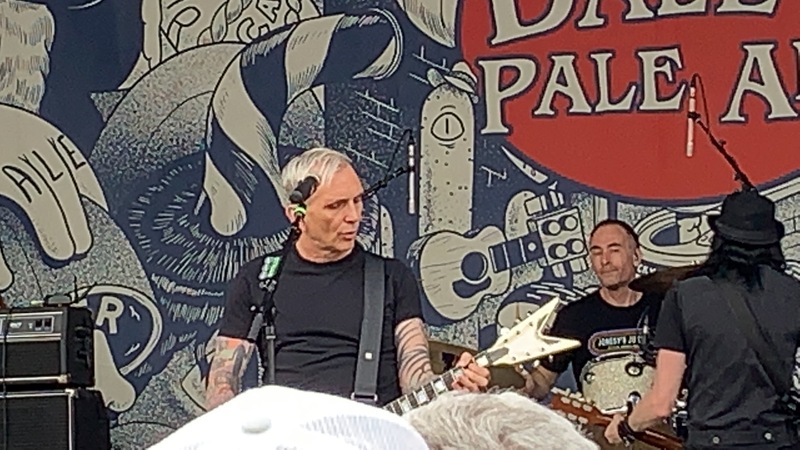 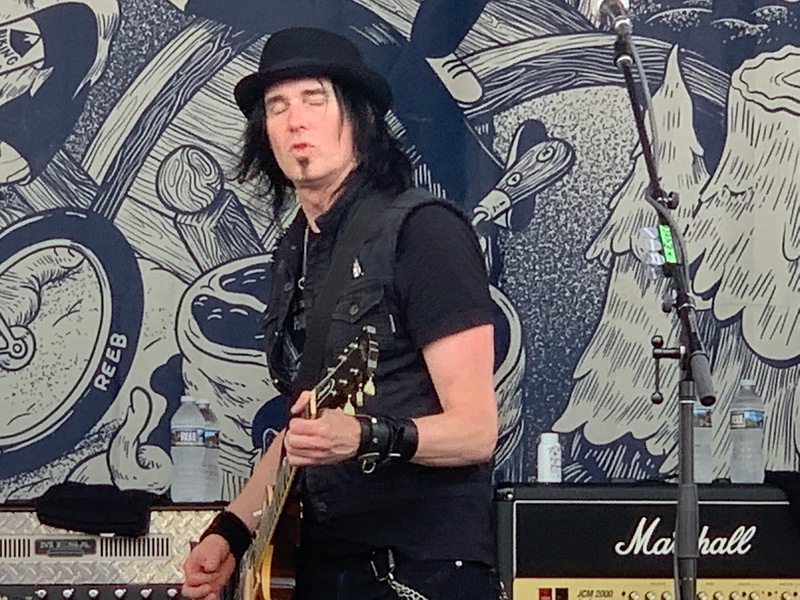 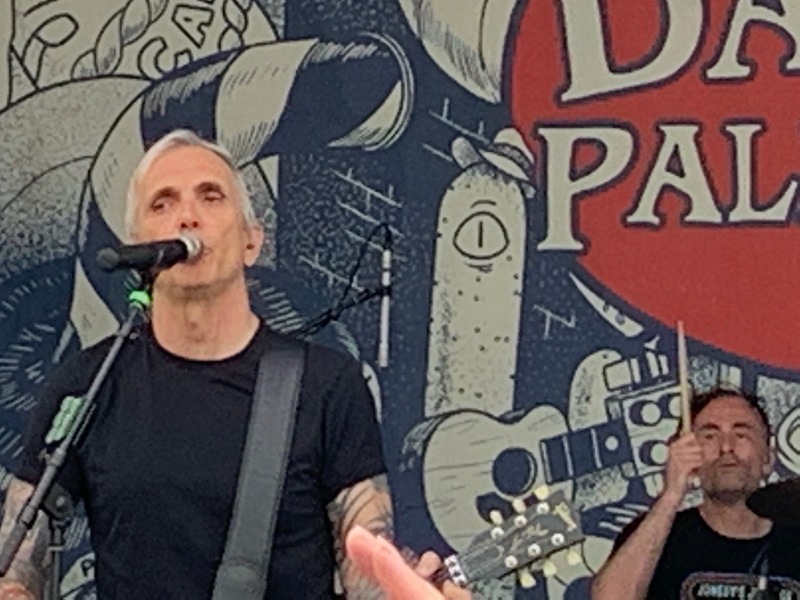 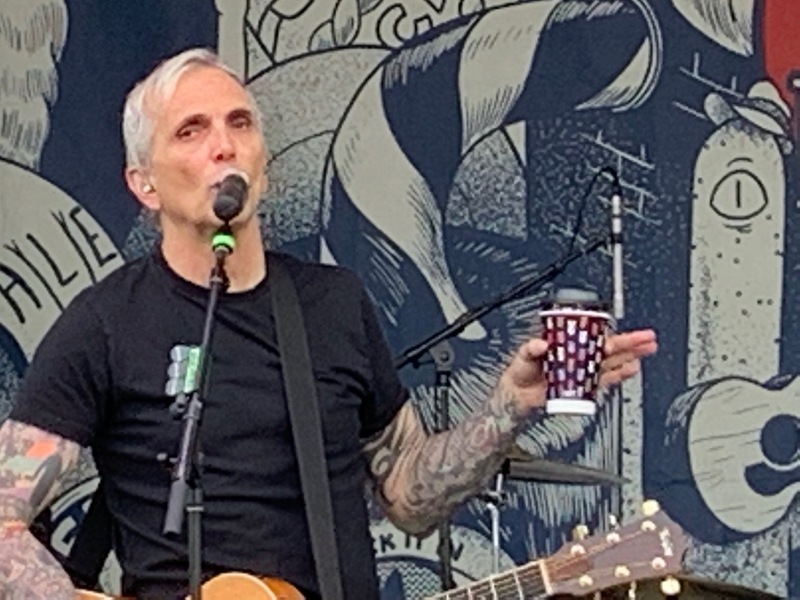 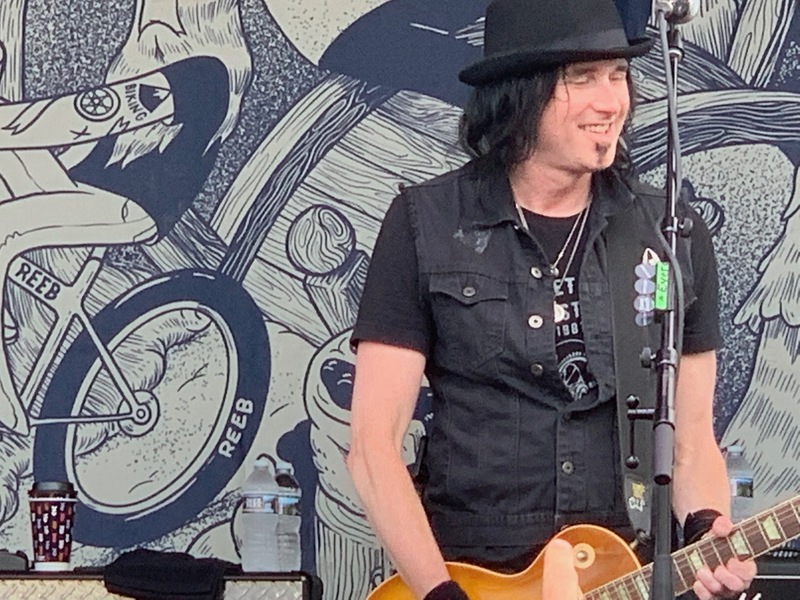 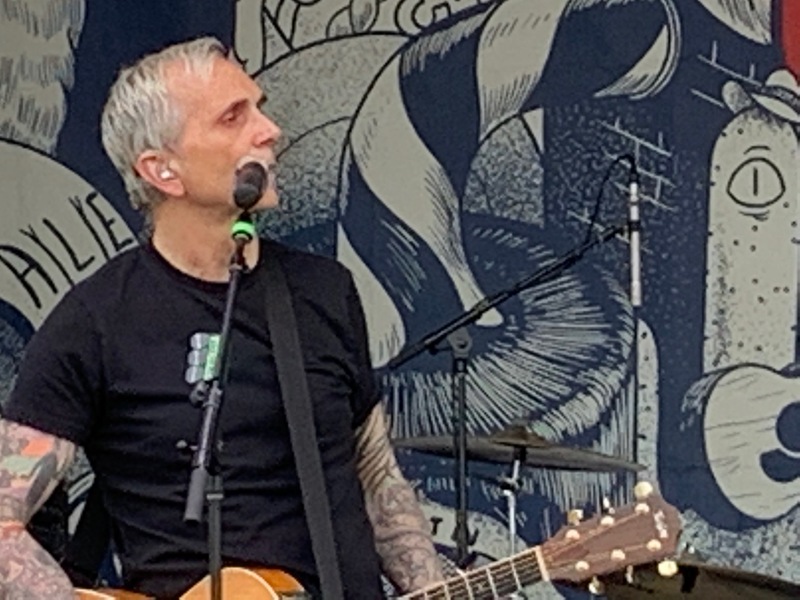 There were performances all day with Everclear closing out the show. 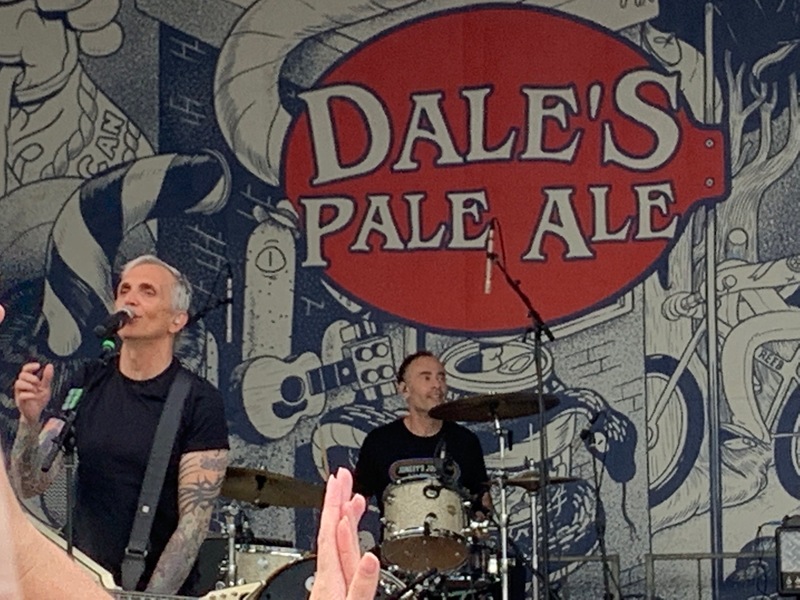 This was a pretty solid choice as a band that a fair amount of attendee’s could get into and the band put on a great show. 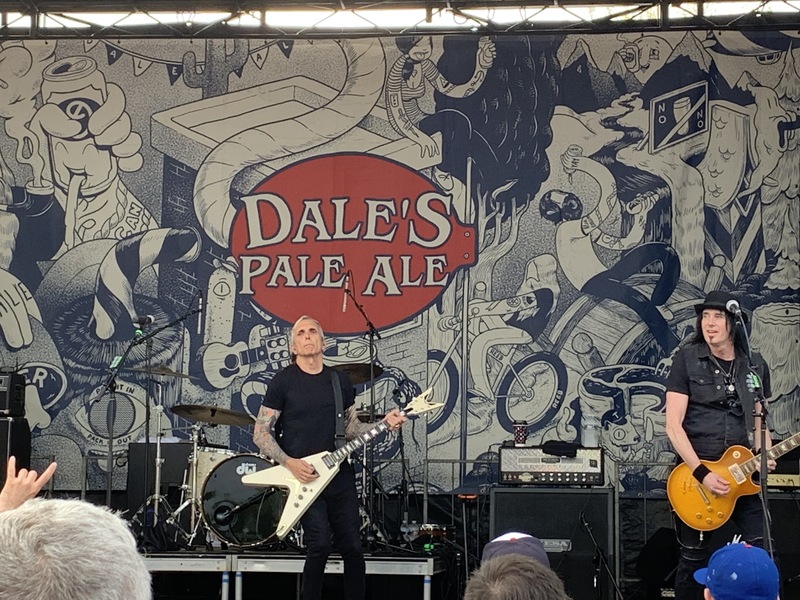 Some pictures from the show are below, but you’ll find video footage here on YouTube.